Sera Flagellol is a very effective remedy agianst intestinal parasites (Spirunucleus/Hexamita) and hole-in-th-head disease in the freshwater aquarium. Aquarists who keep discus fish and other large cichlids know the problem: Whitish, slimy fish waste, darkening and lesions in the head region, known as hole-in-the-head disease. The cause of these obvious symptoms: Flagellates from the genera Spironucleus and Hexamita that dwell in the intestines. 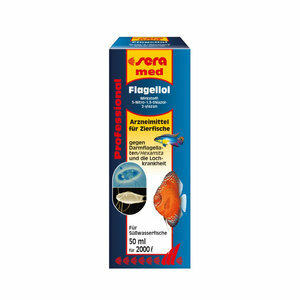 From now on, aquarists have with sera Flagellol a highly effective treatment against these dangerous pathogens at hand: sera med Professional Flagellol is very well tolerated and not only safely and reliably removes all parasites in the fish intestines, but also in their encapsulated stadiums (cysts). Background: A new combination of active agents in sera Flagellol makes use of a thiazole and menadione, known as vitamin K3. The scientists from Heinsberg/Germany found out that this combination guarantees considerably better results than the single agents – both agents work synergistically when combined. The flagellates are reliably killed after only about 24 hours. 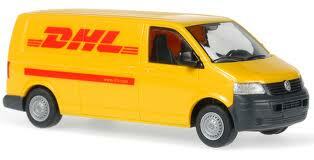 Patent is already applied for the new active agent combination. Add 1 ml sera Flagellol per each 40 litres of aquarium water. Distribute the treatment on the watrer surface from the dosage cup while stirring it into the aquarium with a spoon or a staff. Aerate the aquarium well during the treatment, remove biological filters, switch off UV-lamps and do not filöter through active carbon. When the treatment with sera Flagellol is finished, a water change of at least 80% must be carried out after 3 days. By all means clean biological filters before putting them back into operation.